Pennhost.com | Helping local businesses connect to the world. We help local businesses connect with the world. Pennhost.com provides you with solutions for marketing your business on the web and more. With our help, finding the right domain name, getting a web site up and running, and translating your ideas into a professional web presence can be a smooth and easy process. 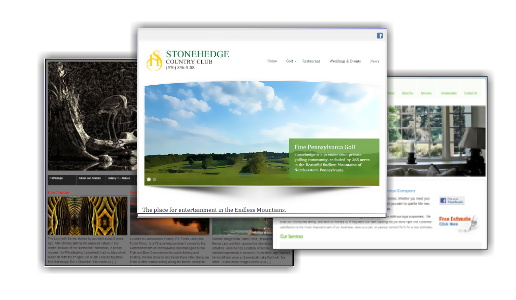 We can help you choose the right look and feel for your site. We know what works and what web-surfers expect from the sites they visit. Custom designs and templates available. Pennhost.com will help you select the perfect domain name for your business and keep you. Pennhost enables advanced users more control over their site through the industry standard cPanel control panel. With this tool you will have access to options and additional software for your site. Our Additional Services for your website are available upon request, such as secure file transfers. Our company can provide you with a wide array of value-added services to make your site the best it can be. Pennhost.com specializes in utilizing the Wordpress platform for your website. This allows our customers to choose from among literally thousands of styles for their sites. We also build many custom designed sites from scratch using industry standard HTML and image editors. These sites are often more involved and require more attention. If you would like a custom site, please contact us for pricing.